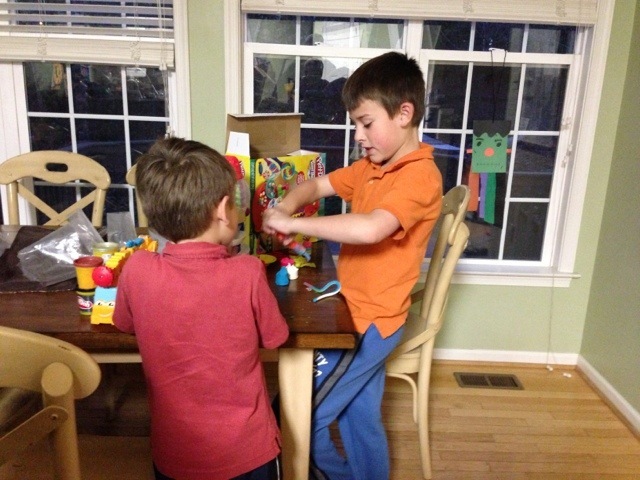 Since I hosted the Mom Mixer in Philadelphia earlier this month, I’ve been saying how I was reminded that Play-Doh is such a good universal toy for kids of all ages. Because I’ve watched as my boys (Almost 9 &6) have spent countless hours now playing with it. 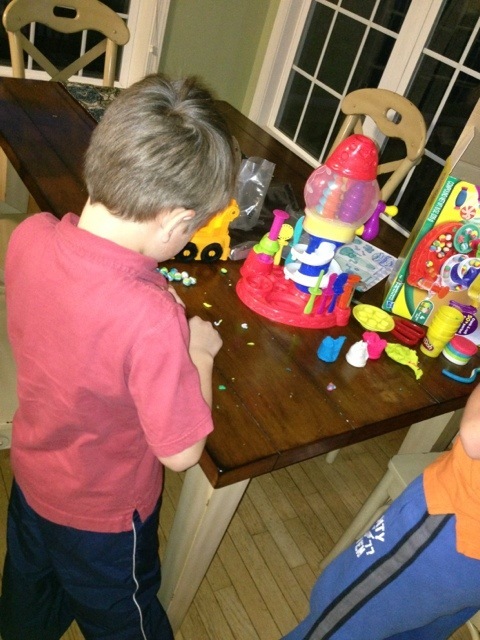 One of their favorite toys now is Play-Doh’s Sweet Shoppe Candy Cyclone (retail $21.99). This picture below has literally been the scene at my kitchen table for over a week now. Don’t even ask about how many times I’ve had to vacuum the floor – although love that little pieces of Play-Doh are so easy to get up the next day! Anyway, this toy is fun for them because they can mix the Play-Doh colors up (which I’m always screaming at them not to do) and crank them down the ramp in the Candy Cyclone to make Play-Doh gumballs. They love it! Find the Play-Doh Sweet Shoppe Candy Cyclone on sale on Amazon – it’s currently priced at the time of this post at $17.99! This is truly a gift idea for all ages – ages 3+-tween, seriously! Just for fun! Disclaimer: Hasbro was the title sponsor of our Holiday Mom Mixer. As always, all thoughts and opinions are my own.